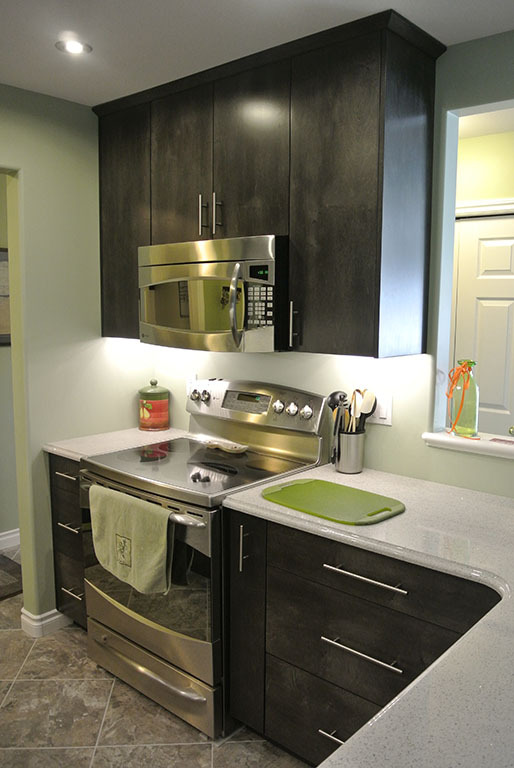 John and Sue McDonald came to us excited to renovate their small condo kitchen.  We worked closely with them to create a more efficient space by increasing storage space with ceiling height upper cabinets and pullouts to optimize hard to reach corners. John and Sue chose a beautiful maple slab door with our signature Thunder stain which pairs perfectly with the stainless steel appliances. To emphasize the sleek and modern look of the slab and steel they chose matching brushed nickel bar pulls and a simple shaker style crown moulding. They also added under cabinet lighting with hidden light rail and beautiful white granite countertops.